Two Palestinians were killed, on Sunday evening, while exchanging fire with Israeli soldiers and police officers, near the light-rail station, in Bab al-'Amoud area, in occupied Jerusalem. Their deaths bring the number of Palestinians killed on Sunday to five. Israeli sources said they reportedly opened fire on the light rail, before exchanging fire with Israeli soldiers and officers. Palestinian eyewitnesses said the exchange of fire took place at the main road leading to the New Gate of Jerusalem’s Old City, just a few meters away from Bab al-‘Amoud. Following the shooting, the Israeli army closed the entire area, and declared it a closed military zone, while the soldiers conducted large-scale searches. The Israeli police said the two Palestinians carried automatic rifles, and fired on officers of the Border Guards Units. They have not been identified at the time of this report. It added that several explosive experts also rushed to the scene, and initiated searches in the area. Israeli daily Haaretz said the two Palestinians carried homemade “Carl Gustav” rifles, and opened fire on officers and soldiers, after approaching them, before police shot them dead; the army and police reported no injuries. 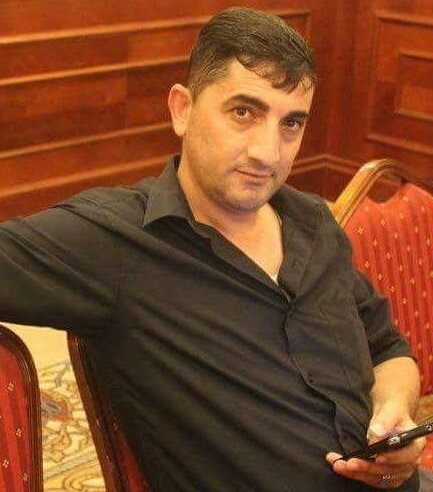 The first of the slain was identified as Omar Mohammad Amro, who was a member of the National Security Forces in Hebron. The second is Mansour Yasser Shawamra. Earlier Sunday, the soldiers and police intensified their siege and military deployment in Bab al-‘Amoud area, and all roads leading to the Al-Aqsa Mosque, as the Chief of the Israeli Police, Roni al-Sheikh, toured in the area. The soldiers placed sand hills and iron bars, closing the entire area to the Palestinians from early-morning hours until evening. The death of the two Palestinians brings the number of slain Palestinians, this Sunday, to five, including three Palestinians, who were killed in Bethlehem and Jenin, in addition to an 18-year-old Palestinian woman, Kilzar Mohammad al-Oweiwi, who was killed, Saturday, after the soldiers shot her three times, including one bullet that passed through her lung and lodged in her neck. One of the two Palestinians shot dead after attempting to carry out an armed attack in Jerusalem on Sunday night has been identified as Palestinian Authority security officer, local Palestinian sources told Ma'an. 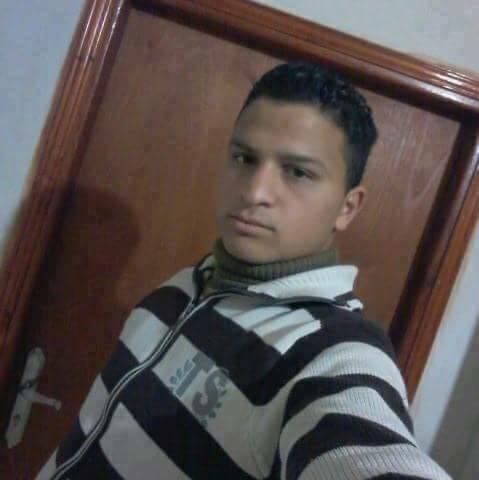 Mansour Yasser Abdul-Aziz Shawamrah, 20, was an officer in a special brigade in the PA security forces, sources said. 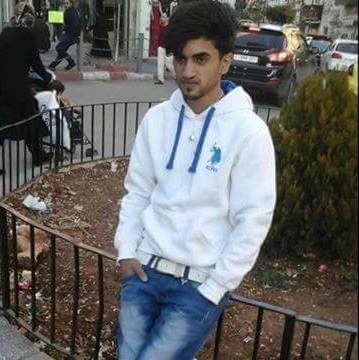 The second Palestinian shot dead during the incident was identified as Omar Ahmad Omar, 20. Both men were from the central occupied West Bank village of al-Qubeiba. A Palestinian security spokesperson could not be reached for comment. The two were shot dead outside Damascus Gate on Sunday after attempting to carry out an armed attack on Israeli police forces. Israeli police spokesperson Luba al-Samri said police stationed in the area became suspicious of "a young Arab with a bag" who they asked to halt and throw the bag aside. Samri said that the man pulled an automatic weapon from the bag before police officers shot him dead. The second Palestinian was shot dead when he opened fire in their direction shortly afterward. Samri said explosives and a knife were found in the bag. The two were reportedly using homemade rifles. The incident was the third deadly encounter on Sunday, with five Palestinians killed after allegedly attempting to carry out attacks on Israelis. No Israelis were injured in any of the incidents. It was also the third documented incident of a PA officer committing a lone attack against Israeli forces since a recent wave of unrest swept the occupied Palestinian territory and Israel in October. On Jan. 31, a PA staff sergeant from Nablus was shot dead after shooting and injuring three Israeli soldiers at an Israeli military checkpoint around the illegal Israeli settlement of Beit El in the central occupied West Bank district of Ramallah. Hamas hailed the incident as a "heroic resistance operation," saying that it represented "the rejection of security coordination with the occupation, even among members of the PA security forces." Ureiba was an officer in the PA general intelligence service and the nephew of PLO Secretary-General Saeb Erekat. A Palestinian minor was killed at noon Sunday by Israeli occupation soldiers near Bethlehem after claiming he was planning a stabbing attack. Hebrew media sources said that soldiers manning a roadblock between Jerusalem and Bethlehem fired at and killed the youngster for attempting to stab one of them. 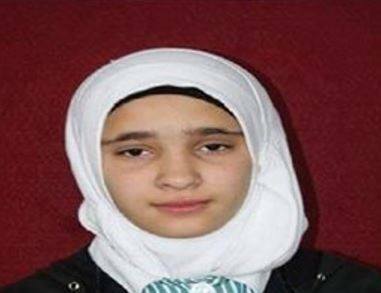 The Palestinian ministry of health said that the minor was 17-year-old Naim Ahmed Safi from Obaidiya village in Bethlehem. Two Palestinian teenagers were shot dead by Israeli troops on Sunday in the northern West Bank, medical sources told Ma’an. According to an Israeli army spokesperson, two Palestinians opened fire at Israeli forces near the village of al-Araqa west of Jenin, and Israeli troops shot back, killing them. The spokesperson added that no Israeli soldier was injured. A Palestinian Red Crescent spokesperson told Ma’an that her organization was informed that two Palestinians were injured, but that Israeli forces prevented them from reaching the scene to provide them with medical treatment. She added that the Palestinian Ministry of Health later contacted the Palestinian Red Crescent to inform them that two Palestinians had been killed. The Ministry of Health identified the deceased Palestinians as Nihad Raed Muhammad Waqed and Fuad Marwan Khalid Waqed, both 15-year-olds from al-Araqa. A Palestinian state prosecutor in the Hebron District announced Sunday that a Palestinian woman killed the previous day by Israeli forces could likely have been saved if Israeli forces hadn't denied her medical care and left her to bleed to death. The 18-year old Palestinian woman, Kilzar al-Eweiei, was shot three times by Israeli troops, including one bullet that passed through her lung and lodged in her neck. As she lay on the ground, her lung began to fill with blood, but she was denied medical treatment by the soldiers who surrounded her as she bled to death. Al-Eweiei was accused of attempting to stab an Israeli soldier near the central city of Hebron, in the southern part of the West Bank. But no injuries were reported among the soldiers, and her friends and family have challenged the accusation. They point out that al-Eweiei was an honor student, who was on her way to class, with a backpack full of books and school papers, when she was shot. The head of the Public Prosecutor's office in Hebron, Ashraf Mishal, told reporters with the Ma'an News Agency that, “The forensic physician identified a massive pulmonary hemorrhage as the cause of Kilzar’s death, and it would have been possible to save her life if she had had medical treatment”. 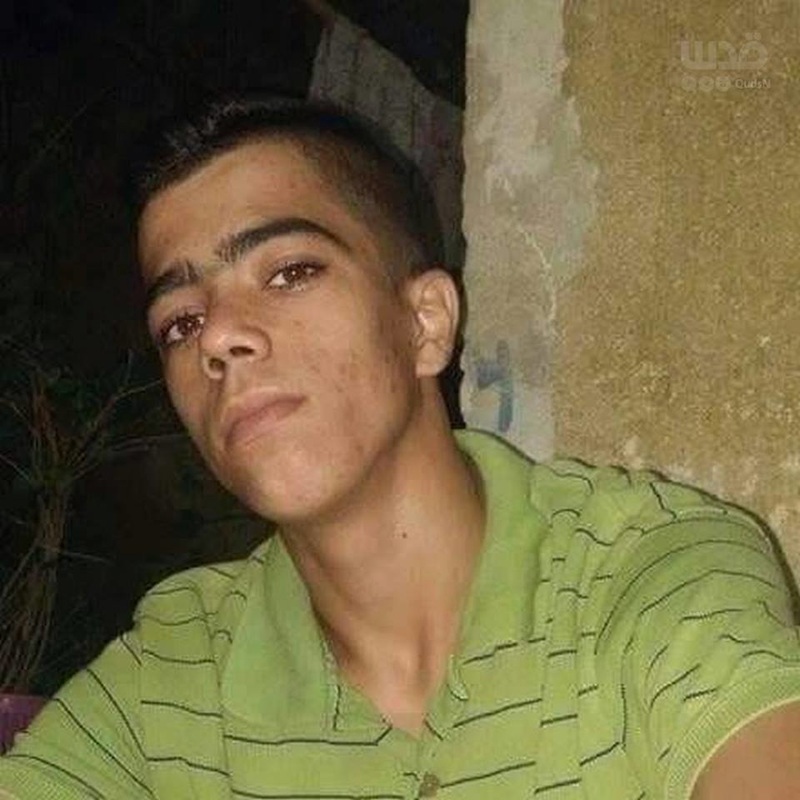 Mishal noted that the report on al-Eweiei's cause of death comes in the midst of a number of similar incidents, in which Israeli forces engaged in excessive force by shooting Palestinians armed with knives, then leaving them to bleed to death. Since October, over 170 Palestinians have been killed by Israeli forces, and over 20 Israelis killed by 'lone wolf' Palestinian attackers. 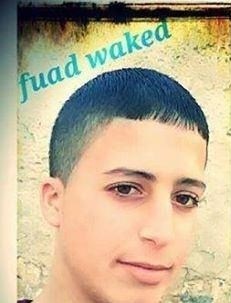 In October, Ezzeddin Nadi Sha'ban Abu Shakhdam, 17, was shot by the Israeli military after allegedly wounding soldier, then left to bleed to death. In November, Samer Hasan Seriesi, 51 was shot by Israeli soldiers and left to bleed to death as Israeli medics joked and laughed nearby. Less than two weeks after that incident, Ehab Fathi Miswada, 21 was shot to death after allegedly stabbing and wounding an Israeli man, an was left to bleed to death by Israeli medical crews. A Palestinian woman was shot dead on Saturday after stabbing an Israeli soldier near the Ibrahimi Mosque in the occupied West Bank city of Hebron. A witness told Ma’an that a young Palestinian woman stabbed and lightly injured a soldier at a checkpoint near the mosque before she was shot by Israeli forces stationed on site. The witness added that a Palestinian in the area at the time attempted to grab the young woman after she stabbed the soldier, in what the witness believed to be an attempt to protect the woman from getting shot. The woman then stabbed the man in the waist after he grabbed her, and he was evacuated to an Israeli hospital, the witnesses said. 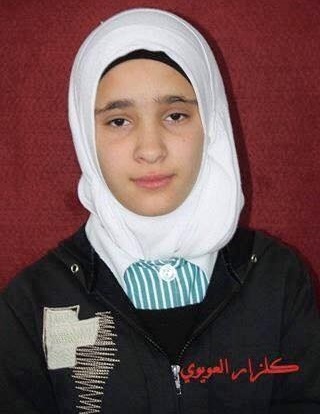 The Palestinian Ministry of Health confirmed the young woman’s death, whose name and age has not yet been released. An Israeli army spokesperson told Ma’an that “an assailant drew a knife on a soldier guarding the Tomb of Patriarchs,” referring to the Ibrahimi Mosque. “During an attempt to stab the soldier, the attacker stabbed a Palestinian who tried to intervene,” the spokesperson said, confirming that the soldier had been lightly wounded. Israeli media initially reported that no Israelis were injured. The unrest has been marked by a surge of small-scale attacks carried out by Palestinian individuals, predominantly on Israeli military targets, which have left over 25 Israelis dead. Stab attacks over the past month have increasingly targeted illegal Israeli settlements, and a number of Palestinian villages and towns have been sealed for several days by the Israeli military following the attacks. 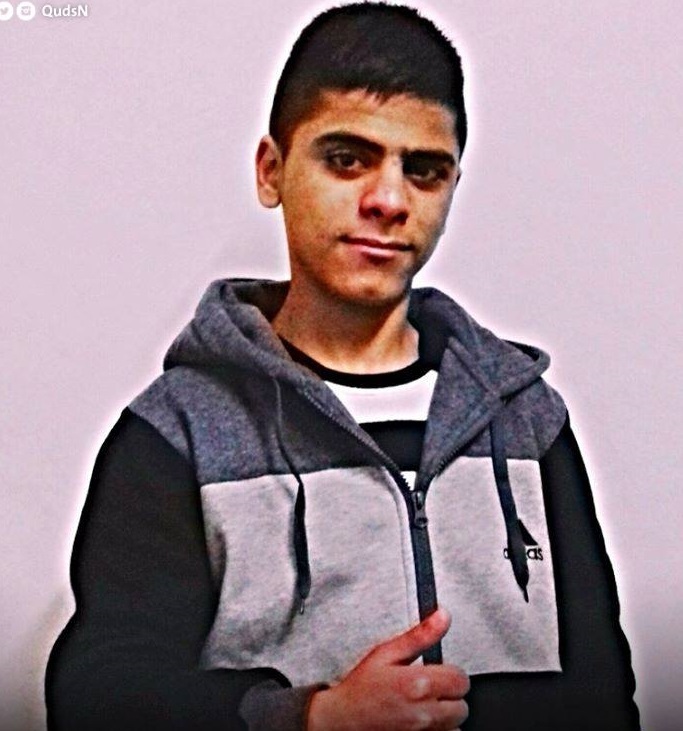 Hebron’s District Attorney Alaa al-Tamimi told Ma'an Wednesday that Omar Yousef Madi al-Jawabreh died after being hit by a single bullet that entered his body from the right side of his chest. An Israeli army spokesperson said following the teen’s death that Israeli soldiers had “responded with riot dispersal means” to a “number of boys throwing stones at Israeli vehicles on Route 60,” hitting one "demonstrator" with live fire. 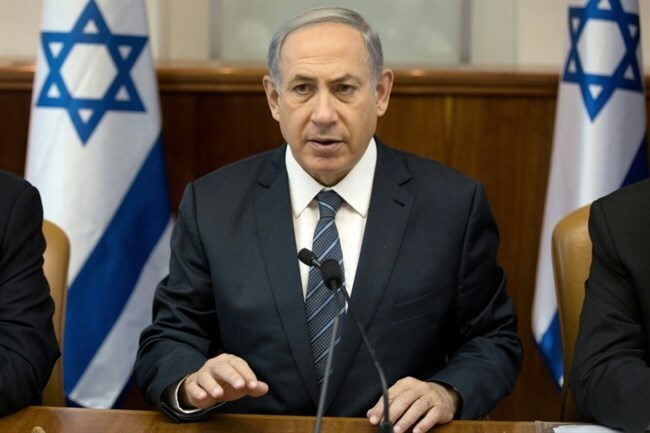 The autopsy report comes as Israel has faced mounting criticism for implementing a "shoot-to-kill" policy on Palestinians, leading to unnecessary deaths of individuals who did not pose sufficient threat for the use of lethal force at the time of their death. Search and arrest raids -- last year’s weekly average numbering nearly 90 according to UN documentation -- frequently result in clashes between Palestinian residents and Israeli military. Israeli forces shot dead a 16-year-old Palestinian during clashes in the southern occupied West Bank district of Hebron's al-Arrub refugee camp on Tuesday, medical sources told Ma'an. Doctors at al-Mizan hospital in Hebron said the boy, identified as Omar Madi, was shot in the chest during clashes in the camp and was evacuated to the hospital where he succumbed to his wounds. Locals said Israeli forces shot tear gas, rubber-coated steel bullets and live fire during clashes in the camp, while youths responded with rocks and Molotov cocktails. Al-Arrub refugee camp lies along Route 60, a major West Bank road that Israeli settlers regularly use to reach a cluster of illegal Israeli settlements in Hebron, and the camp has been site to frequent clashes with Israeli military over the past several months. On Friday, Israeli soldiers killed a 14-year-old Palestinian and detained another young boy along the route, after the two allegedly tried to throw Molotov cocktails at passing vehicles. “During routine activity to secure Route 60,” Israeli forces "spotted two suspects attempting to throw Molotov cocktails at vehicles" on the highway, an Israeli army spokesperson told Ma’an at the time. The forces then opened fire on the teenagers, killing one and detaining another, the spokesperson said. Madi is one of nearly 170 Palestinians to be killed by Israeli forces or settlers since October, many of whom were killed while carrying out individual attacks on Israeli military and settlers, while others died during clashes or unconfirmed circumstances. Israeli occupation forces (IOF) shot and killed a Palestinian boy in Halhoul, in northern al-Khalil, Friday afternoon and arrested another after injuring him. 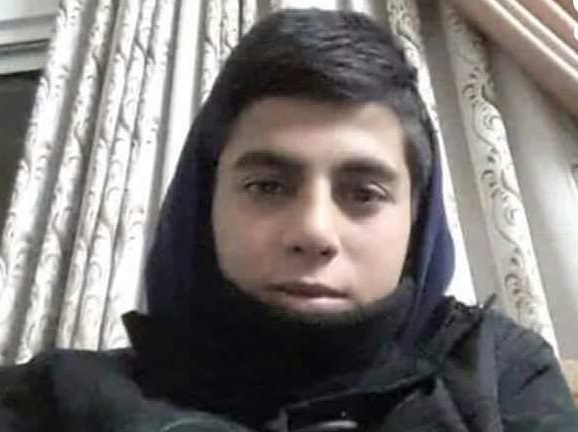 The Palestinian ministry of health said in a statement that 17-year-old Haitham Ismail al-Bu was killed by IOF gunfire in Wadi al-Shannar area in Halhoul. Local sources said that IOF soldiers in a military patrol fired at the boy in the northern area of the town, adding that another minor was rounded up after being shot and wounded in the same area. For its part, the Hebrew website 0404 claimed that two Palestinians were trying to toss a firebomb on a bus carrying settlers on road 60 when the soldiers spotted them. 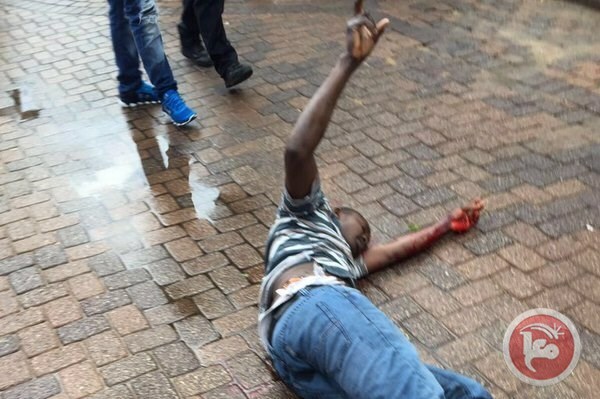 It added that the soldiers fired at both killing one on the spot then arrested the other after wounding him. The Palestinian Red Crescent society said that the soldiers did not allow its ambulance crews to reach al-Bu who was hit with a bullet in the head and fell from a high rock. He was left to bleed to death while the other wounded youngster was arrested, it added. Palestinian medical sources have reported, Friday, that Israeli soldiers shot and killed a child from Halhoul town, north of the southern West Bank city of Hebron, and kidnapped another. The slain Palestinian child has been identified as Haitham Ismael Mohammad al-Baw, 14, from Halhoul town. The army also kidnapped another Palestinian who was with al-Baw, in the al-Hawawer area, in Halhoul, after the soldiers invaded it. The Israeli military claimed that the two Palestinians "attempted to throw Molotov cocktails," on Israeli soldiers, stationed on a military roadblock in the area. Palestinian medics moved the body of the slain Palestinian to the al-Ahli hospital, in Hebron. 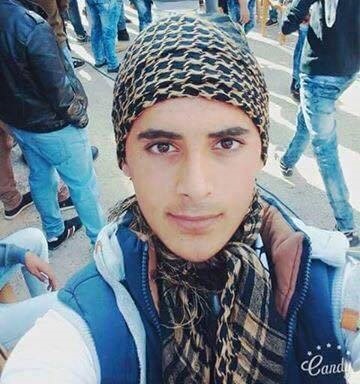 He is related to Hasan Jihad al-Baw, 22, from Halhoul town, who died on November, 13, 2015, after an Israeli soldier shot him in the heart. In related news, clashes took place near the al-Jalazoun refugee camp, north of Ramallah, after Israeli soldiers invaded it. The army fired rubber-coated steel bullets and gas bombs, causing dozens of residents to suffer the effects of tear gas inhalation. The Israeli Occupation Forces (IOF) shot and killed Wednesday afternoon three Palestinians in occupied Jerusalem for an alleged attack on police officers. The shooting took place on Wednesday at the Damascus Gate, which is one of the entrances to the Old City in the occupied city of Jerusalem. Israeli police claimed that the Palestinians were shot after carrying out an attack with guns and knives against a number of police officers. A state of tension and confusion prevailed in the area, which made the Israeli policemen open fire on each other by mistake. 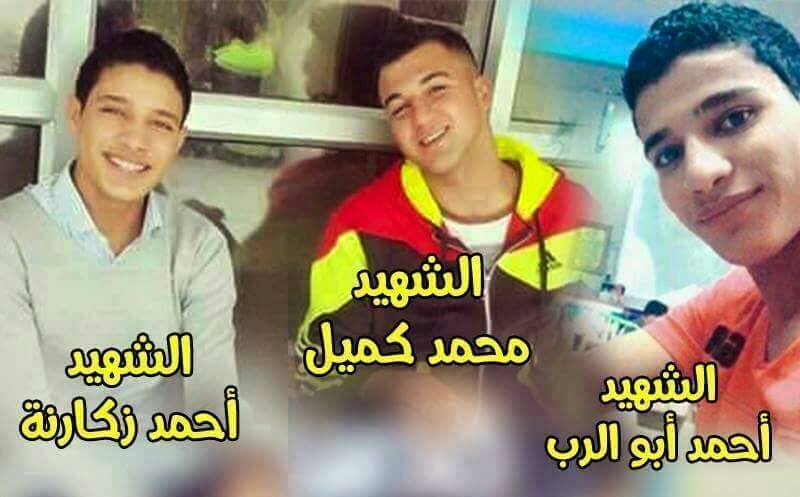 Palestinian Health Ministry identified the three Palestinian victims as Ahmed Abu Rub, 21, Mohamed Kamil, 20, and Ahmed Ismail, 22, from Jenin to north of the West Bank. Following the incident, Israeli forces closed all roads leading to the Old City and fired tear gas bombs at the bystanders, the PIC reporter said. Some of the Palestinian bystanders and journalists were brutally attacked. The alleged attack came few hours after more than 100 Israeli settlers and soldiers with their military uniform stormed al-Aqsa Mosque, the third holiest site in Islam, in total provocation to Muslim worshipers who are denied access into the holy site. Israeli escalated and daily break-ins into al-Aqsa Mosque raised high tensions and bloody clashes over the past few months in occupied Palestine. A Palestinian man was shot dead after shooting and injuring three Israeli soldiers at an Israeli military checkpoint located around the illegal Israeli settlement of Beit El, in the central occupied West Bank district of Ramallah. A spokesperson with Israel's emergency medical service, Magen David Adom, said medics were treating three people who were shot and injured, two of whom are in severe condition, while one was mildly injured. The assailant was later identified as Amjad Sokkari Abu Omar, aged 34, from Jamma'in village, near Nablus. 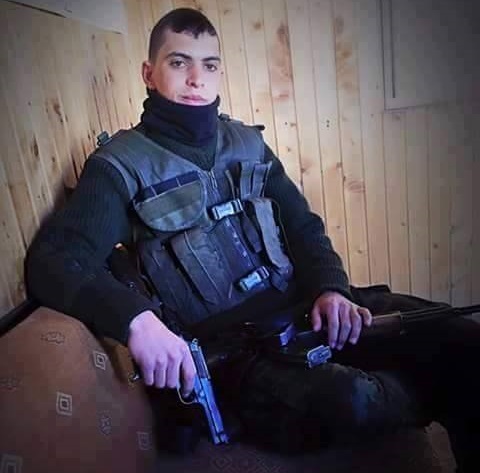 Sokkari, a PA security staff seargant, was father to 4 children, the youngest of whom is 6 months old. Israel has reportedly transferred his body to the Palestinian Authority. A few hours earlier, he posted "every day, we hear the news about someone killed (by the soldiers), forgive me, my turn could be next."